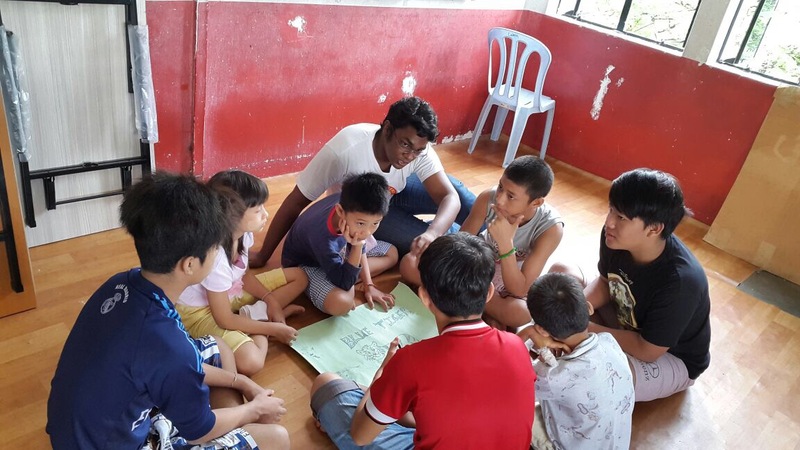 Over the last 12 months, various commanders took time off every fortnight to spend time teaching and encouraging refugee children at a preaching point in KL. Commander Conrad helping the group put their ideas on paper. 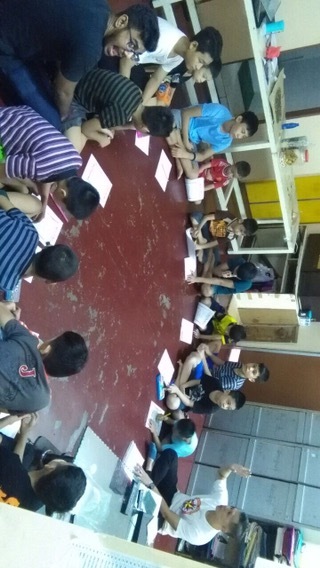 Commander Soong sharing God’s Word. 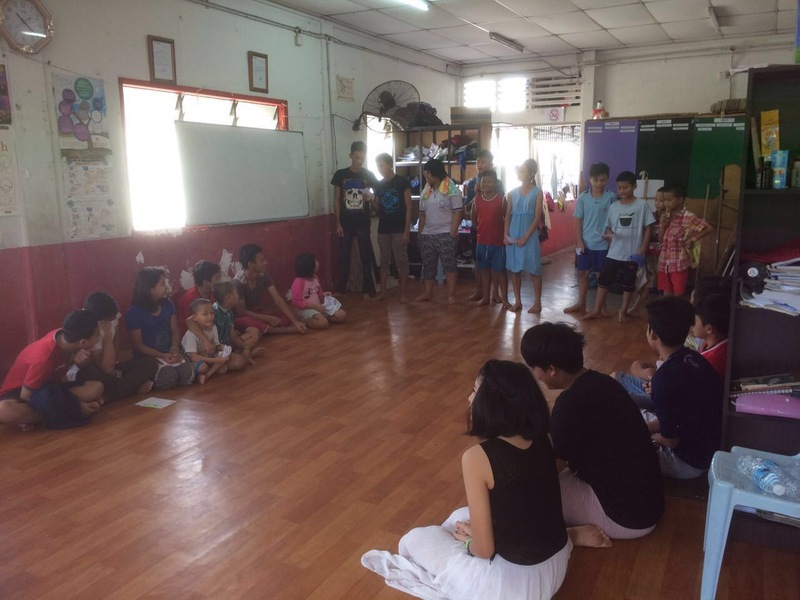 Children were very receptive and open to the sharing of the gospel and we hope to continue ministry here in 2017! From 30 March to 3 April 2016, five Royal Rangers Commanders from Calvary Church, Commanders Eddy Law, Chin Yoke Yee, Ong Soon Aun, Esther Ong and Samuel Ngeow participated in a missions trip to Nepal lead by Jim Guneratnam, the coordinator for Royal Rangers Asia Pacific. 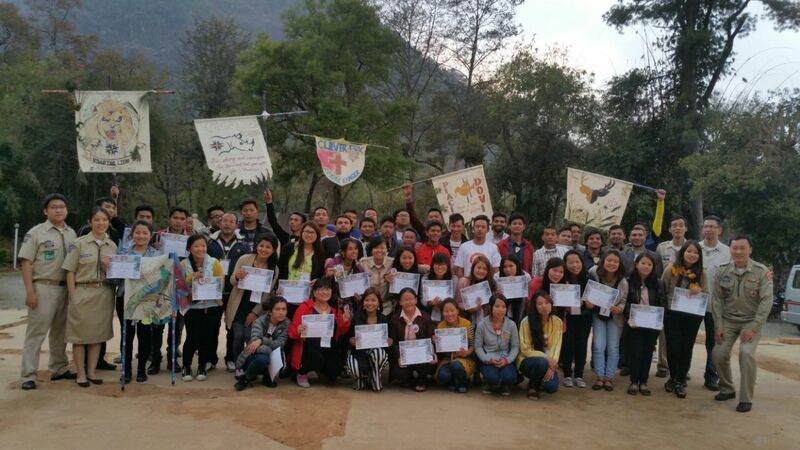 This trip was organized to conduct Royal Rangers leadership training for them to start the ministry in Nepal. Arriving one day before the training began, the team spent their first day navigating the traffic and the streets of Kathmandu, seeing the city which was ravaged by massive earthquakes just a year ago. 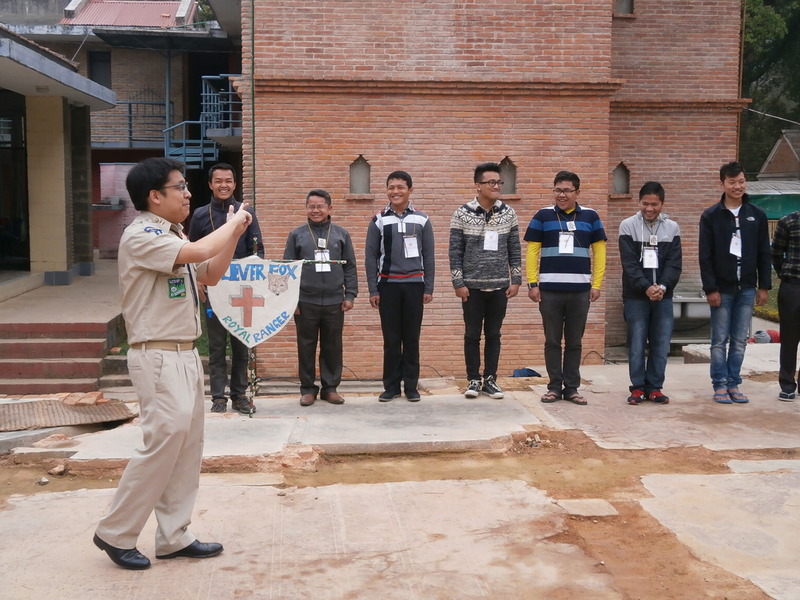 For the next two day, 31 March and 1 April 2016, the team conducted Royal Rangers Fundamentals, the basic leadership training course and demonstrated the Royal Rangers ministry methods. A total of 52 leaders attended the training in order to learn more about the ministry and obtain the necessary tools to start the ministry. Upon the completion of the training, participants were recognised with certificates and were eager to return to their respective churches, ready to start the ministry. On 2 April 2016, Commanders Jim Guneratnam and Eddy Law had the opportunity to share the message at two different churches at their worship service. Commander Samuel Ngeow was a blessing to the young people, sharing the message at the youth meeting that afternoon. The people were greatly blessed by our ministry. 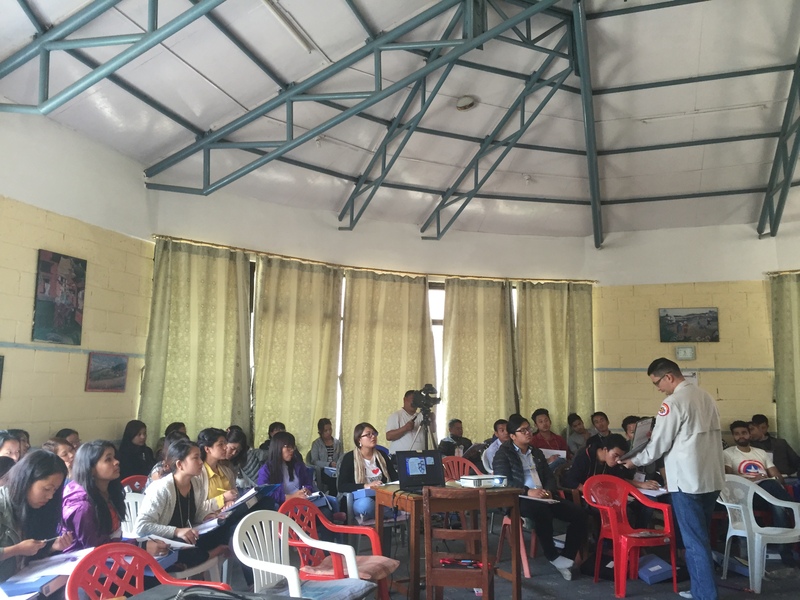 Before departing on 3 April 2016, we had the opportunity to meet with 25 pastors for the Kathmandu area at their monthly fellowship to share about the Royal Rangers ministry. The pastors were receptive and thankful for the availability of such a needful ministry to the children and youths. We praise and thank God for His protection upon the team as well as a wonderful and fruitful missions trip, where the vision of the Royal Rangers ministry and tools for starting was imparted to leaders in Nepal. It is our continued hope and prayer that with God’s enabling, they will be able to reach, teach and keep the children and young people in Nepal for Christ. During Calvary Family Camp 2015, our camp speaker Pastor David Sumrall was exposed to the Royal Rangers ministry as the Royal Rangers held their annual camp together with Family Camp. Seeing the effectiveness of the ministry in discipling children and youths, he invited us to his church, Cathedral of Praise (CoP), Manila to training their leaders to start the ministry. 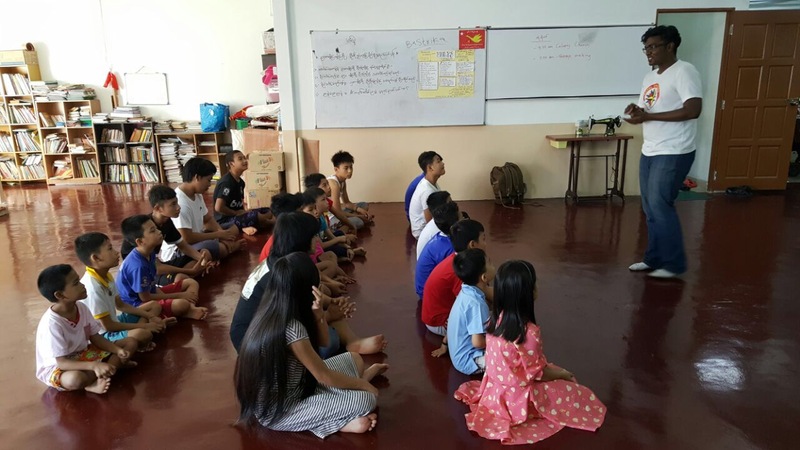 Lead by Jim Guneratnam, who serves as Royal Rangers Asia Pacific Coordinator together with Commander Samuel Ngeow the team conducted an introductory course to the Royal Rangers ministry known as Ranger Fundamentals on 29 & 30 January 2016. A total of 15 leaders attended the training in order to learn more about the ministry and obtain the necessary tools to start the ministry. Upon the completion of the training, participants were recognised with certificates, carrying the eagerness to start the ministry to bless the children and youths from their church and community. We praise and thank God for the opportunity to continue to grow and strengthen the Royal Rangers ministry in the Asia Pacific region. From 29 October to 3 November 2011, two Royal Rangers Commanders from Calvary Church Malaysia, Jim Guneratnam and Samuel Ngeow along with six Commanders from Singapore, Chia Eng Kiat, Wu Tze Chong, Aaron Lim Weng Kang Ng, Joseph Chan, Ng Swee Har and Edina Choo, were on a missions trip in Cebu, Philippines to conduct the Leadership Training Academy. The training was organized by the Cebu-lower Leyte District of the Philippines General Council of the Assemblies of God and held in Mt. Olives Christian Academy was attended by a total of 87 trainees. On 3-5 September 2009, Commanders Jim Guneratnam, Royal Rangers Asia Pacific Regional Representative, together with three Commanders from Calvary Church Kuala Lumpur, Chin Yoke Yee, Tan Lee Li and Kester Low, were blessed with the opportunity to train, encourage and strengthen the Royal Rangers ministry in Sri Lanka.